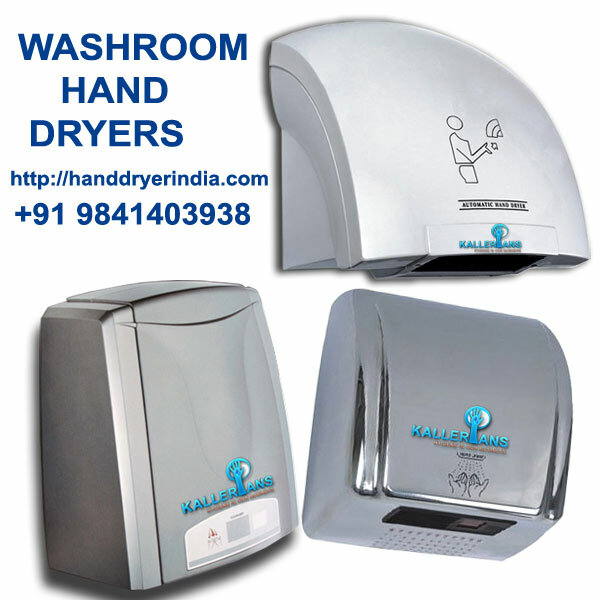 HanddryerIndia provides excellent range of washroom hand dryers, competitive price in market, and the best warranty and customer support. Our hand dryers are the most energy efficient, eco friendly and the fastest with drying time of less than 15 seconds. We are the largest importers of all kinds of conventional and automatic hand dryers providing excellent master piece for every commercial washrooms. For more than 15 years of development, our hand dryers have met the demands of international standards. We have an excellent line of washroom fittings, including our top class range of Stainless Steel products, service, quality and price. We enjoy our business and the long lasting relationships we have built with our clients, suppliers and resellers. We combine traditional values with latest technology and automation. We source the best products available and get them to market at competitive prices. We provide excellent support for all our products with excellent warranties and reliable service. We respect and value our customers, and they are the forefront of our success. HanddryerIndia Washroom fittings were supplied and fitted all over India for more than 10 years. Large and trustworthy customer base is the testament to our top level customer service and quality products. Over the years of research and development we have listed an inventory of technology and products that had an impact with great value and performance. We cover the complete range from commercial to prestige restroom hand dryers, including our premium range of Stainless Steel Washroom hand dryers.